After a disappointing loss to eventual Horizon League tournament champions Green Bay, the Youngstown State University women’s basketball team was looking to continue its march this month. 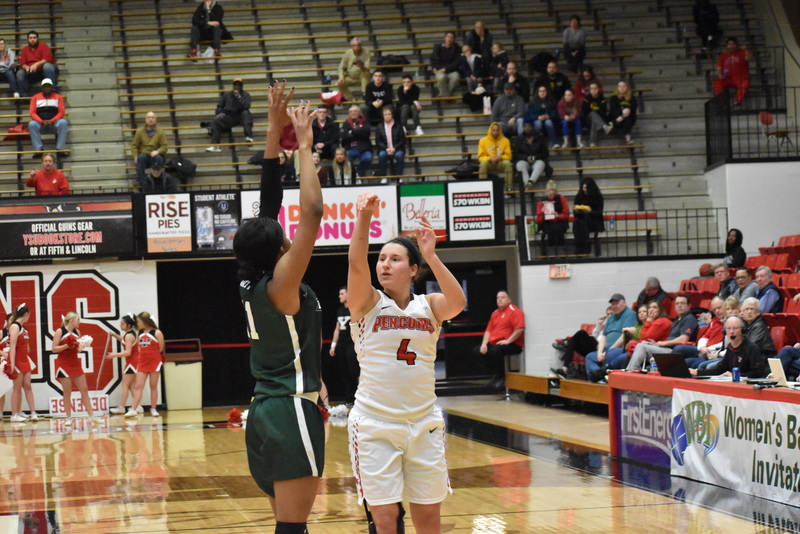 YSU faced Binghamton College at home in the Women’s Basketball Invitational. YSU (16-15) did basically what it wanted on offense in the first quarter. Binghamton (19-11) started the quarter with a bucket by Imani Watkins. The Penguins outscored the Bearcats, 19-6, for the rest of the quarter. Nikki Arbanas (#4) hits a 3-point shot over Imani Watkins (#11) of Binghamton. YSU led 36-34 at halftime in the first round of the WBI. Nikki Arbanas hit two 3-pointers in the quarter to help YSU have a 19-8 lead after one quarter. YSU started out second quarter with a Chelsea Olson bucket. 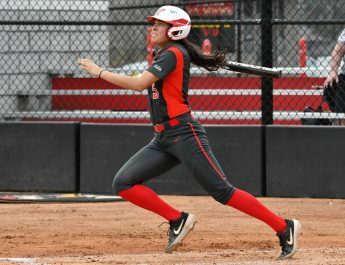 Binghamton tried to claw back into the game a bit after it got to within nine at 23-14, the Bearcats and Penguins traded buckets for the next minute or so. Binghamton’s Alyssa James came alive in the quarter as she scored eight of her team-high 10 points in the quarter. YSU needed a timeout with 2:42 left in the half as the Bearcats cut the YSU lead down to six at 33-27 on a three by Jasmine Sina. Binghamton would proceed to go on a 12-0 run from the 3:34 mark in the second quarter to lead the game at 34-33 with 1:15 left in the first half. Watkins was injured with less than a minute left in the half for Binghamton, which was a big blow. Arbanas would bury a 3-pointer as time expired to give the Penguins a 36-34 lead at halftime. Arbanas led YSU with 10 points as James had 12 points for the Bearcats. YSU was outrebounding Binghamton, 18-10, while hitting three 3-pointers to Binghamton’s one. For the final and the second half of the game story, go to thejambar.com.